Whole wheat flour is considered best for daily consumption because it is full of nutrients, especially vitamins and proteins. This is the reason why wheat flour based breads like phulka, chapatti, theplas, bhakhri and parathas are made regularly in Indian kitchen. 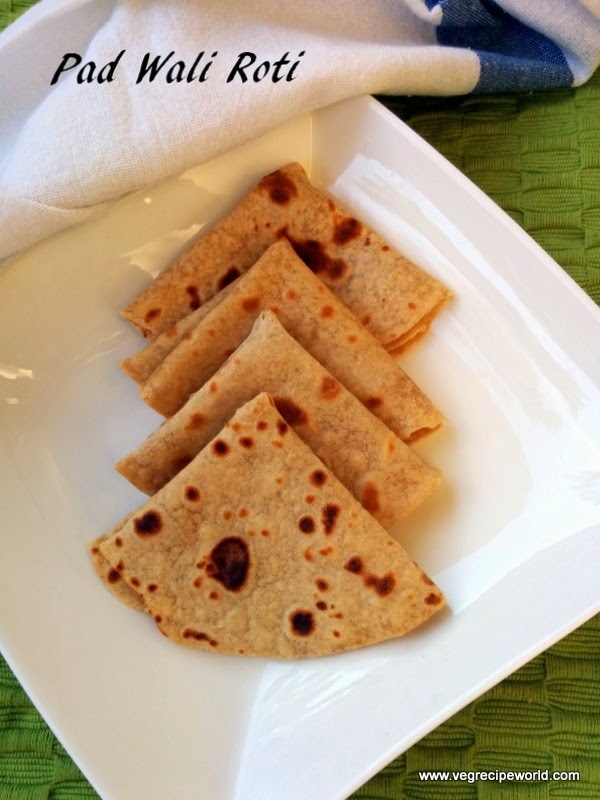 Pad Wali Roti or Layered Chapati is a Indian wheat flour based flat bread. It is the best kind of roti to carry while travelling or in your lunch box. 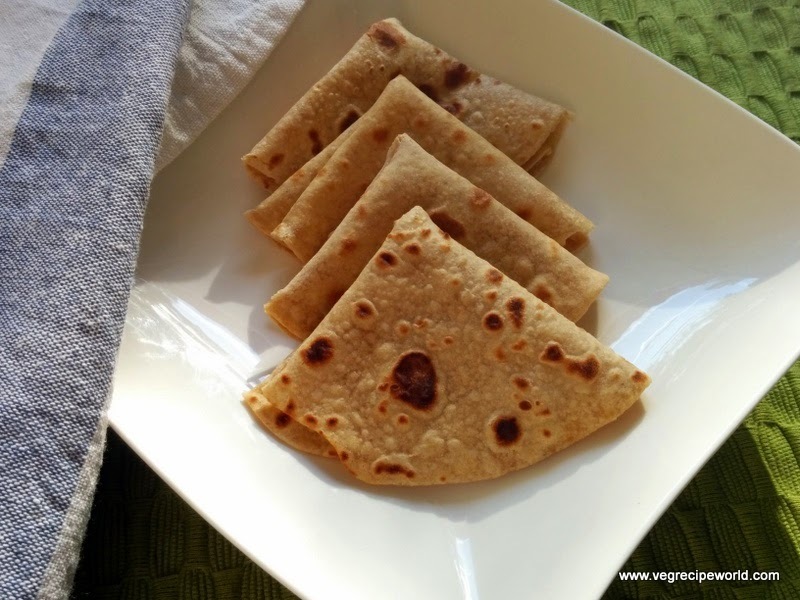 Adding ghee in between 2 chapattis keeps it soft for a long time. 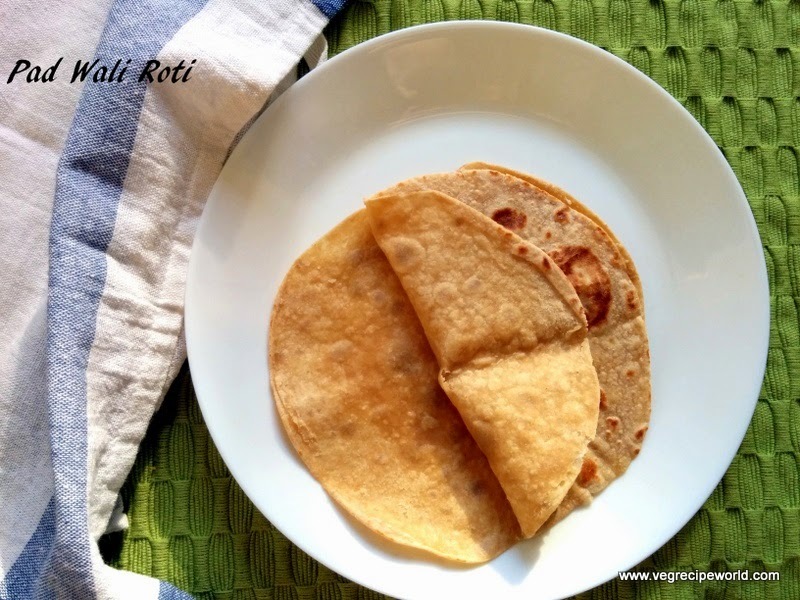 Pad wali roti can be served with any vegetable(curry), but it tastes best with rice kheer and suki bhaji(dry potato veg). So lets proceed step by step. 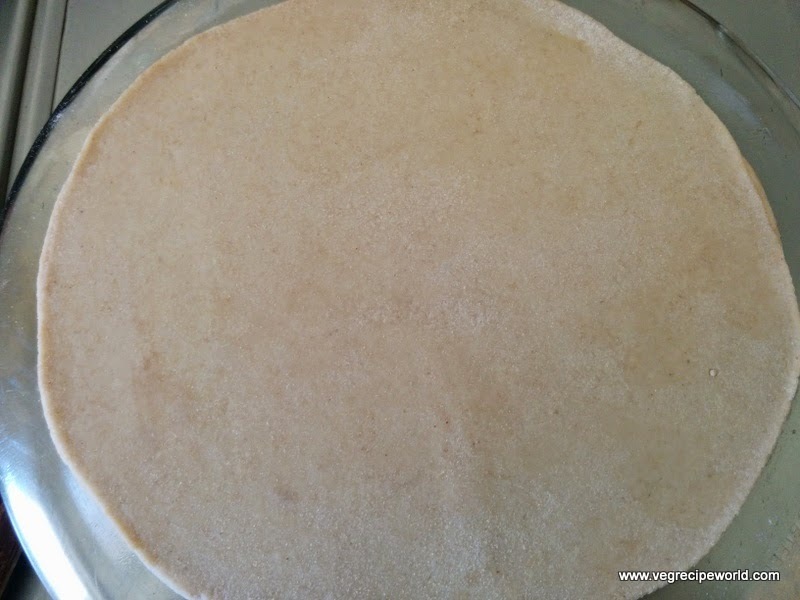 In Pad wali roti ghee (clarified butter) is added between the 2 layers. Pad wali roti is not made regularly, but mostly on occasions because excess of ghee is not considered good for heart. 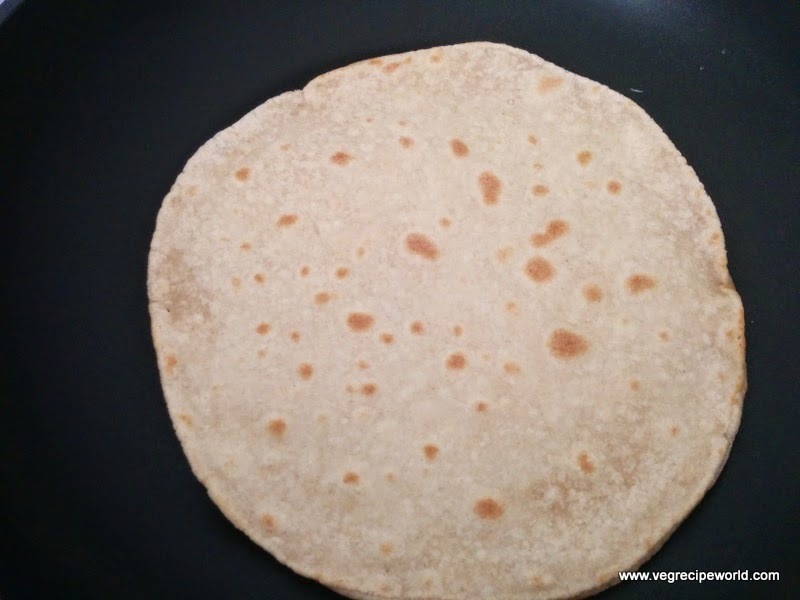 In regular chapatti you can skip the ghee if you like. However it is debatable if ghee is actually so bad for you. 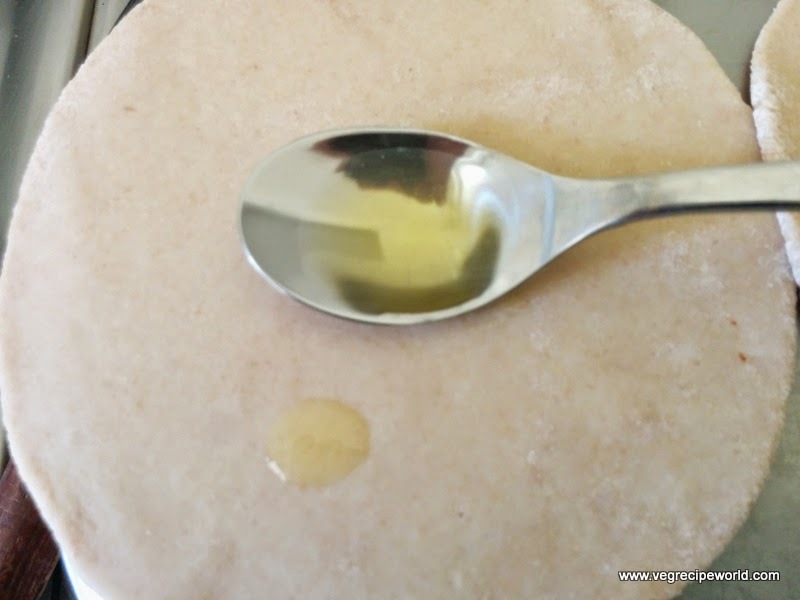 Some amount of ghee is required by your body to make your bones strong and generally elders in our home advice us to consume some ghee regularly. My grandmother says because of pure ghee they had in their youth and the hard work they did is why they are still in the pink of their health in old age. I believe that excess of anything is bad and to be fit and healthy you must consume small amounts of ghee daily and exercise regularly. For making Pad wali roti we need to knead the dough. 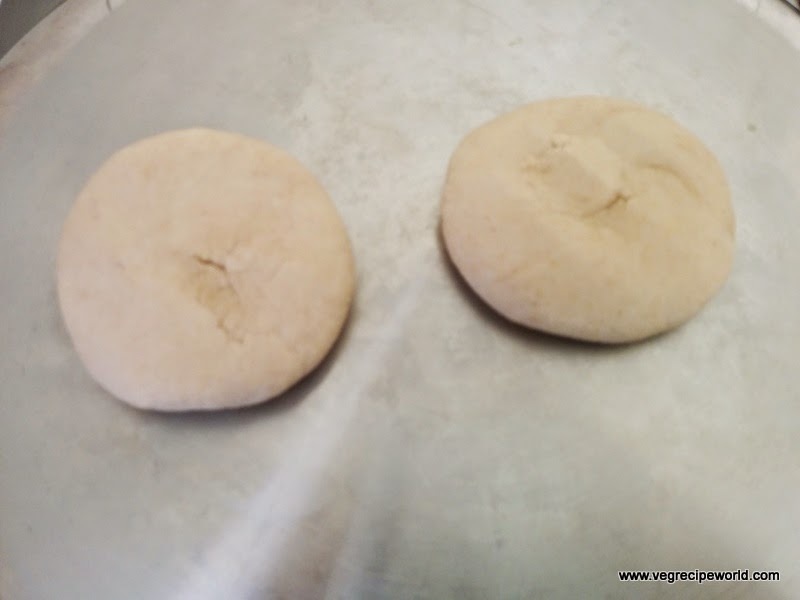 The dough has to be kneaded the same way we knead for phulkas. 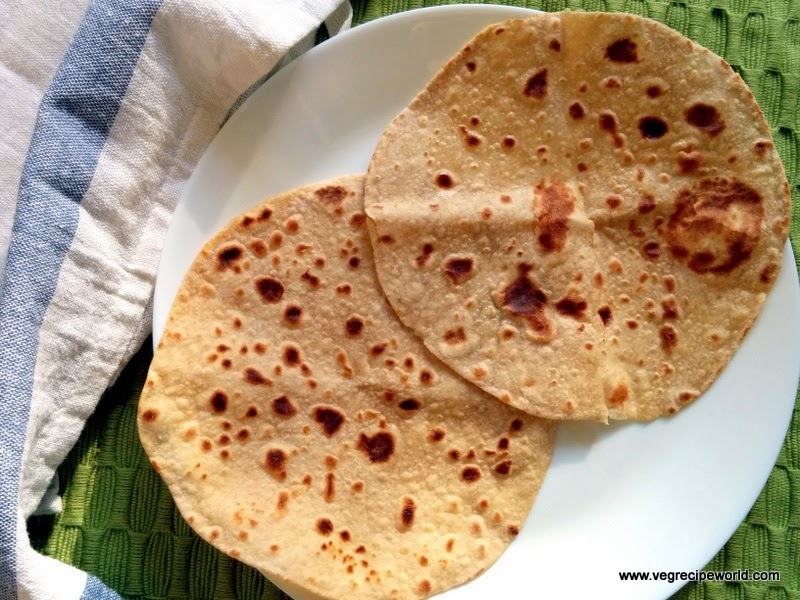 I do not prefer adding salt in rotis like phulkas and pad wali roti but if you wish you can add. Sieve Whole wheat flour in a bowl. 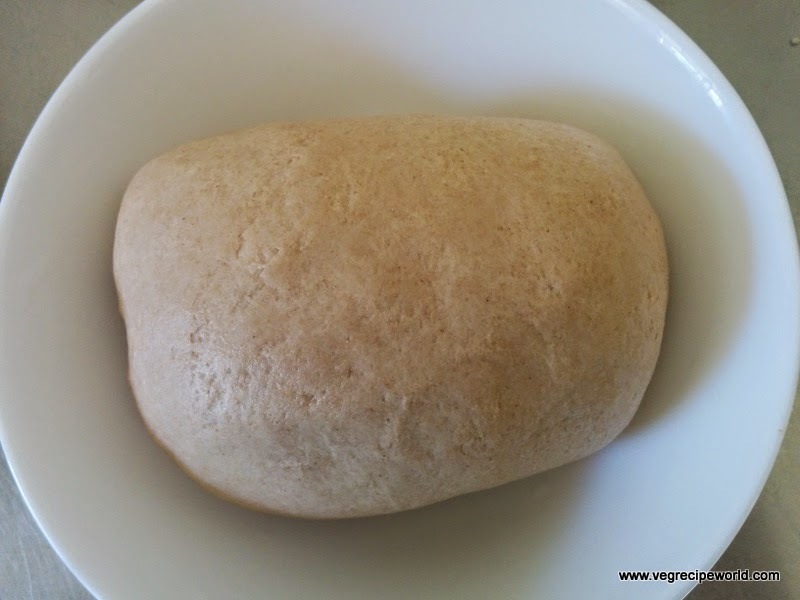 Add oil and knead it to a soft dough by adding water slowly. Then grease the dough with little oil and leave aside for 15-20 minutes. 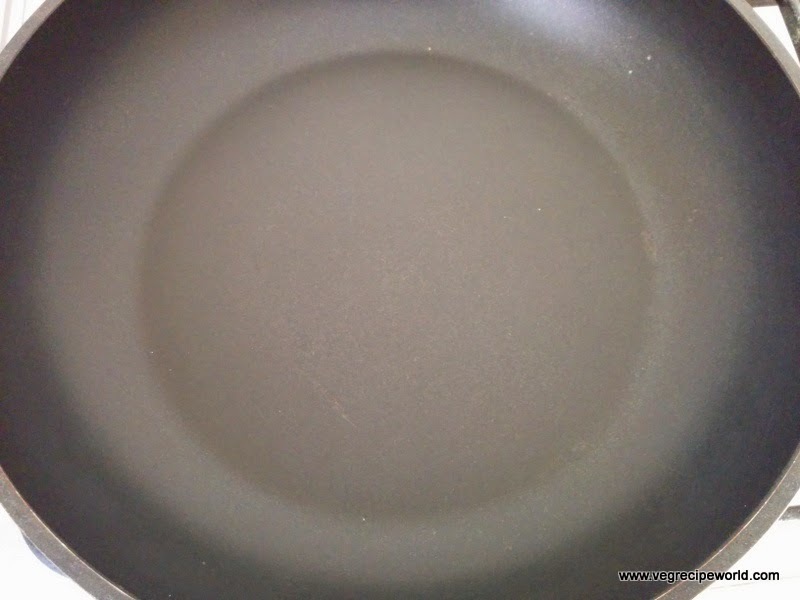 Heat a skillet on medium high flame. Now take two portions of dough of lemon size. Roll them into small size of puris. 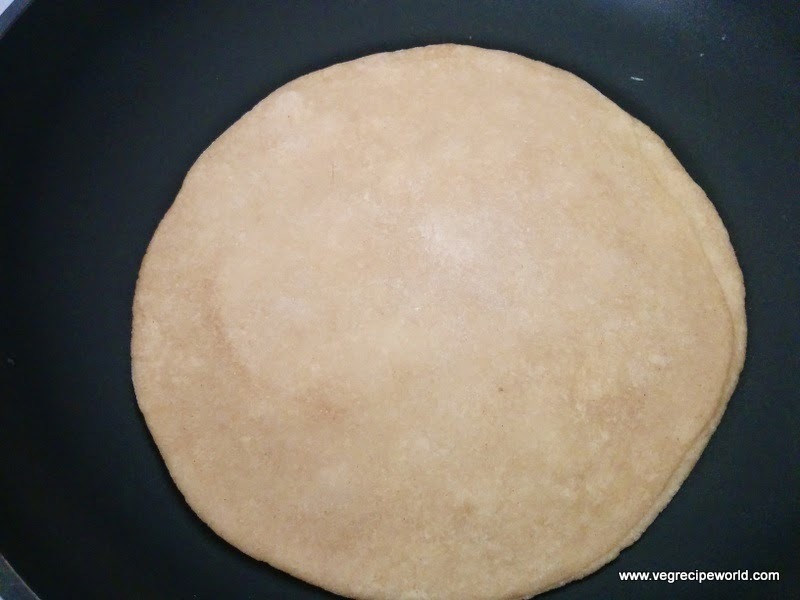 Apply some melted ghee(clarified butter) on 1 puri. Place another puri on the one which we applied ghee. 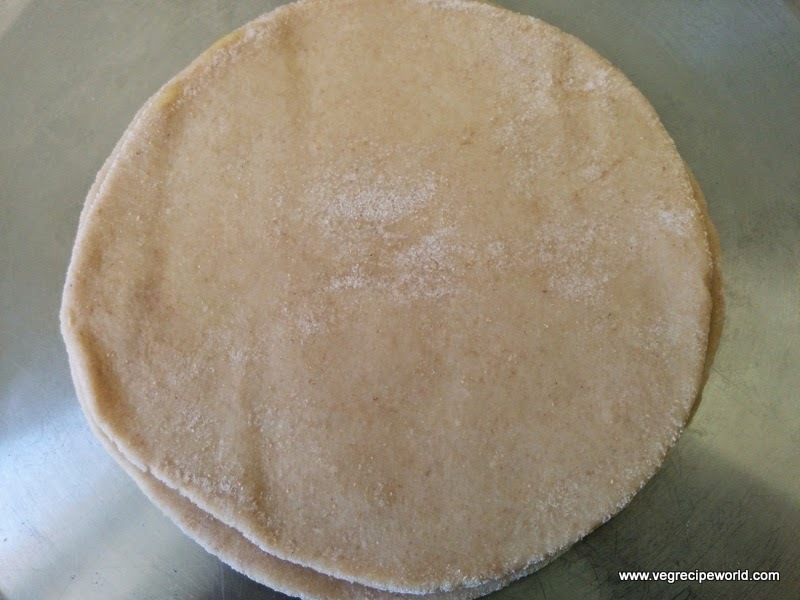 Again roll it into a flat chapati. Put very less pressure while rolling otherwise both puris will stick to each other. Now place the big flat bread on hot skillet. As you will see bubbles immerging turn the roti and cook on another side. 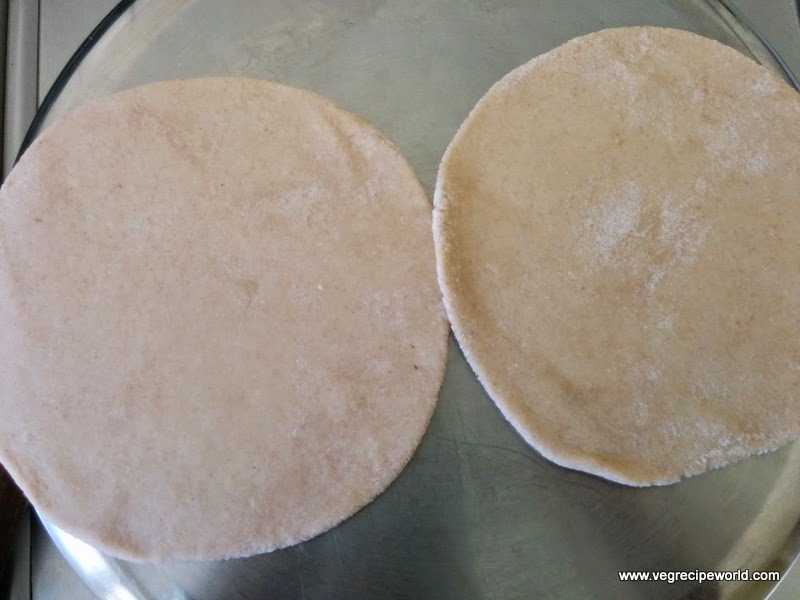 You can easily see in below picture that both rotis can be separated from each other. Pad wali roti is ready. Separate the rotis and serve with kheer and suki bhaji.